At some point in most people’s working life, there comes a time where the daily grind of the nine-to-five loses its appeal and they seek retirement. When that time comes, will you have enough money put aside to keep you happy, safe and secure for the rest of your life? Chances are you’d like to have a pension. What if I have more than one workplace pension? Why is a pension better than a savings account? What other plans should I consider? In its most simple form, a pension is just a savings scheme that releases the money to you in your retirement years, providing you with an income for your later years. It has some specific tax advantages and employment-linked ways of saving, but other than that, it is like a savings account in most other ways. The state pension is a government-run scheme to provide money for anyone over the State Pension Age (SPA). Currently, the SPA is 65 (for both men and women) although plans to have it rise are in effect - by 2020 it will be 66, continuing to 67 by 2028. Once you reach the SPA you will be entitled to claim the state pension. Changes in April 2016 mean that the amount you receive is slightly different depending on whether you reached SPA before or after that date. If you are yet to reach retirement age (and thus will reach it after April 2016), then the amount of pension you receive will be based on the number of years of national insurance (NI) you have paid. You must have a minimum of 10 years to receive any pension at all and will receive an amount on a pro-rata scale until the maximum (currently £164.35 per week) with 35 years of NI contributions. What are my pension options? How do I make sure I get more than the state pension? There are two main options available when investing money for retirement to top up any state pension – these are a personal pension (including workplace pensions), or a long-term savings account. If you are employed, then you will be enrolled into a workplace pension scheme. This is a requirement for everyone aged between 22 and the state pension age who earns £10,000 or more a year. In a defined benefit pension, the amount you will receive is based on your pensionable earnings when you paid into the scheme and the length of time you have been investing. Pensionable earnings may not line up exactly with your real earnings, as they typically do not include overtime, commission or bonuses – you should discuss this with your employer to see exactly how your pension will be calculated. With a defined contributions pension, the amount you have paid in will be invested and the amount in the final pension will reflect the performance of these investments. As with all investing, your money is not guaranteed and may be higher or lower than the initial investment. A cash balance, or hybrid pension scheme, mixes elements of the other two to provide an aspect of the greater security of defined benefit with the potential for growth that comes as part of a defined contributions pension. With a workplace pension, the money is paid in by your employer as part of your monthly salary and (like all pension schemes) is tax-free. This tax-free benefit is one of the reasons why saving using a pension is such an advantage. You can pay as much as you like into your workplace pension - up to a maximum of £40,000 per year. Money is paid in by your employer, your personal contribution and the government in the form of tax relief. 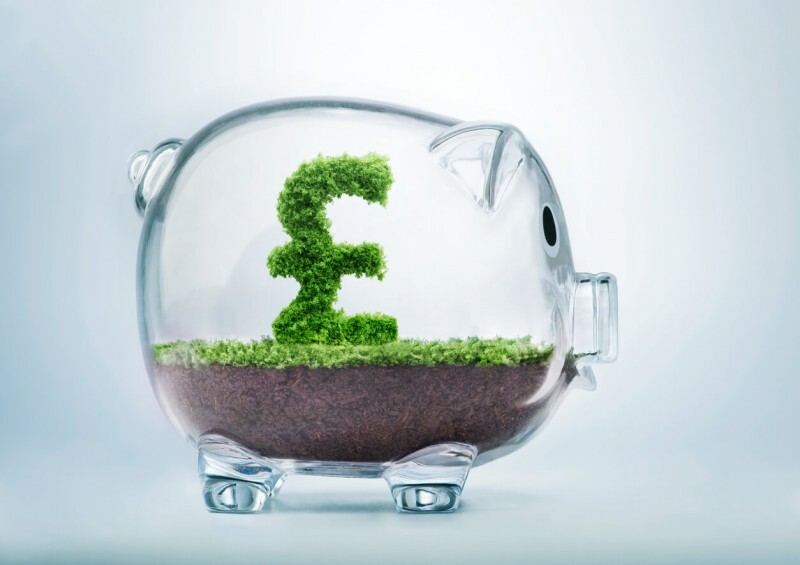 Changes in April 2019 mean that a minimum of 8% of your qualifying earnings will be paid into the pension pot per year. If you have had multiple jobs with different employers, the chances are that you have multiple pension schemes – one for each period of employment. It is important that you tell your pension provider any changes of work or address so that your pension is not lost. If you do have multiple pensions, it may be of benefit for you to combine them into a single pension – contact your providers to do this, it may be a little tricky but it will make things much simpler in the long-run. If you are self-employed then you will have no employer paying into a pension for you and the onus falls on your own shoulder to arrange a personal or private pension. Contact a pension company and put aside some of your earnings to pay into the pension. When the time comes, you will receive a regular monthly income from your personal pension in addition to the state pension. With some pensions, you are also able to take out your pension as a lump sum either upon retirement age, or if needed (for example, because you become critically ill) before that time. It is worth understanding the full terms and conditions of your pension. The most widely used alternative (or addition) to a pension scheme is the ISA. Like a pension, an ISA offers a tax-free way to save your money and earn a little on top. Currently, you are entitled to put as much as £20,000 per year into a personal ISA, making it one of the best ways to save for retirement. Of all the options for savings accounts, when looking for the best investment for retirement, a lifetime ISA is worth considering. Each person can save up to £4,000 per year into a lifetime ISA, and between the ages of 18 and 50, the government will add a 25% bonus on any monies saved in this way. Optimising a lifetime ISA would mean 32 years of saving £4,000 per year and generate a government-paid bonus of £32,000. Lifetime ISAs can only be drawn on for two reasons – one, to buy your first home (the other major use for the scheme) and two, upon reaching 60 for use in retirement. A lifetime ISA offers a way of retiring without a pension but of course, can be used in conjunction with a pension for a more stable future. It’s never too early or too late to start saving for retirement. Questions such as ‘is it too late to save for retirement at 40?’ or ‘how much money should I have saved by 40’ are fairly meaningless – the fact is that if this article has taught you something new regarding how to save for retirement, then acting on it now is a positive step, no matter your age. Perhaps in an ideal world, you would have opened your lifetime ISA at 18, started a personal pension at 22 and been contributing steadily for your retirement your entire life (also ensuring you paid a full 35 years of NI contributions to maximise your state pension). In that ideal world though, you are probably a billionaire anyway, so your state pension fund will make less impact than the huge return from your shares! The reality for most people means doing what you can when you can, but remembering to keep an eye on the situation and put some planning into place. If you have debts, it’s always best to clear those before putting money into saving to avoid paying unnecessary interest, and if you find yourself comfortably in the black then spend a little time looking at your retirement portfolio and strengthening it where you can. Financial advisors suggest investing 15% to 20% of your income for retirement throughout your working life – this figure would make sure that your retirement is as comfortable (if not more so) than your working years. The government-enforced working pension sets the minimum to 8% and opting to raise this by a few more percentage points is a wise way to secure that desired retirement. Looking after your senior years is important and prioritising your pension above more frivolous spending in your youth and middle age comes with advantages. If you do not have a solid plan in place, ask yourself whether your holiday needs to be quite as grand or your car quite as luxurious, and perhaps reorganise your finances a little to give you that extra retirement security. When looking at long-term financial planning, it is worth considering other financial products. Read our articles on life insurance, critical illness cover and mortgage protection to make sure you and your family have that extra level of stability to help deal with any knocks that life can give. For more help on how to start saving for retirement or on any other financial matter, why not give one of our advisors a call – or fill in our contact form to have someone call you are a convenient time. Don’t forget your friends – pass on this advice (or simply share this article on social media) to make sure the people you care about are also prepared for their retirement.